Born in London & based in Mumbai, DJ Uri has been creating his unique sounds since 1987. Starting out as a Hip Hop, Funk & Soul DJ, he has accumulated a huge pool of knowledge in music. His uniqueness stems from his ability to fuse various genres of music using different instruments to create seamless sets, representing the highest level of skill. Also a renowned international artist, he has supported popular artists like Diplo, Flying Lotus, Ed Sheeran, Major Lazer to name a few. Not only has he won renowned titles, but has also been featured in the Hip Hop Cookbook representing India alongside legendary Dj's from different parts of the world. 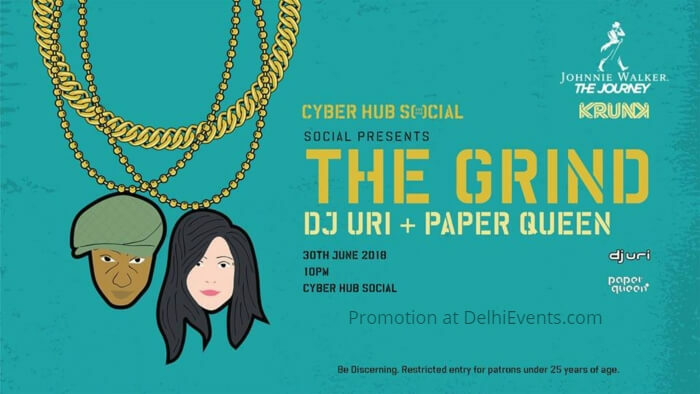 Based out of Mumbai, Paper Queen is a well known Hip Hop/Bass artist who has gained immense popularity recently playing both National & International club & festival gigs. A unique blend of old and new age music a Paper Queen's signature set appeals to the masses while retaining its street credibility as well. Deeply influenced by the work of artists such as Teeko, DJ Premier, Jon1st & Ivy Lab, her musical creations are hard hitting, bouncy & totally engineered for the dance floor. Mentored by Dj Uri, she has emerged as India's first Turntablist Dj.